Relax and Sleep: A practical anti-stress from technology of your phone. A practical anti-stress from technology of your phone. After a hard day's work, after the stress of traffic, and after being slaughtered by various commitments there is nothing better than to enjoy a relaxing. Many may not know that relaxation is a right of our body and a duty that we owe to our mind. Today more and more people suffer from chronic diseases, due to the continual and maddening pace of our daily tasks. Even unconsciously, every day we put a strain on our mental well-being, subjecting our body to unnecessary suffering. Not soprassedete on some warnings that often our body communicates to us in various forms (muscle tension and soreness of the head, alternation of appetite lack of appetite, rashes, insomnia, anxiety), stop and listen to what he has to communicate our body. They are often symptoms of requests for help that our body sends us in the form of pulses. A warm bath, a massage with lavender-scented oil, are some of the practical tips that I can suggest for a complete relaxation. Do not forget to use good relaxing music and controlled breathing exercises. In support of all this was born the Free Application for all Android phones that allows us to have everything we need ready to use. Yes, that device during the day was perhaps a source of our stress, at the end of the day it becomes a valuable ally for our relaxation.Try it yourself this useful application without hesitation, because it is truly free and truly functional. 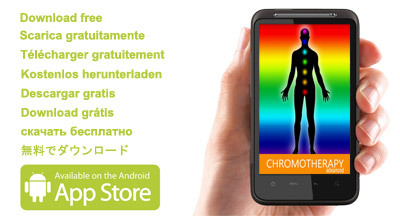 Not just me saying that, but the many positive testimonials of all those who have already used this application and do it regularly every day as a healthy and good habit.There is a trial version, fully functional in all its parts, but with some minor limitations and there is a full version which has no limits and can be purchased on Google Play Store at the special price of 1.57 €. The purchase is made only once for life and entitled to all the free updates forever, there are no subscriptions of any kind.